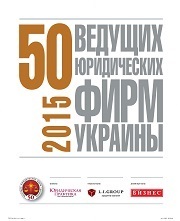 The positive trends that participants of the Ukrainian legal market are beginning to record suggest that transaction practices will be spread even with a slight improvement in the situation, and dispute settlement will reach a qualitatively new level. Already preparing for this, law firms are actively engaged in issues regarding their market positioning in general and strengthening expertise in individual practices. "For the first time ever, lawyers of three and even four generations (abroad) meet and work within one law firm"
"The number of people who invest their time and money in the development of legal tech in Ukraine is increasing. Today, we use the whole world as a source of ideas and, therefore, changes are inevitable"
"The issue is not so much that a bot will take the place of a lawyer, it is that whether a law firm is ready to change as fast as the clients do"
"Those who have the best infrastructure and the best market coverage will benefit"
"Publicity or, as we say, visibility is the main characteristic of a lawyer and, in fact, the essence of his demand"
"Working in the style of a boutique law firm makes it possible to keep a work-life balance and be highly profitable"
The methodology of the 50 Leading Law Firms in Ukraine research is based on a comprehensive assessment of the key performance indicators of the legal market’s participants. At the same time, none of the studied parameters have a decisive influence on the place in the rating. Law firms demonstrate the best results if objective performance indicators are naturally supplemented by a high reputation in a professional community of colleagues and competitors. "We expect a significant increase in the number of successful financial restructuring cases"
"The main conditions for successful restructuring are the mutual interest of the parties, the right team and a readiness to compromise"
"One of the key challenges is to reduce the political impact on state enterprises"
"Low-cost companies want lawyers to be both universal soldiers and narrow specialists within the confines of the allocated budget"
"Big data commercialization in the absence of proper understanding of the challenges it will entail and protection is far from being the best idea". 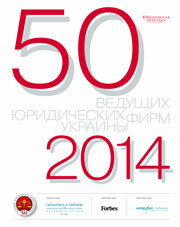 Ukraine is committed to integration with the energy markets of Europe. This is stated in the Energy Strategy of 2015 and implemented, in particular, in new sectoral legislation. But the implementation of new mechanisms in the industry is complicated by an ideological gap in understanding the implementation of approaches and principles of the EU and European Energy Community by certain public authorities. The opening up of markets and introduction of transparent and competitive rules of the game make domestic energy more attractive. Implementation of new infrastructure projects and diversification of energy sources result in the arrival of internationally famous energy companies in Ukraine. At the same time, the guaranteed rate of return on projects in the field of renewable energy sources provides stable demand for “green” projects. 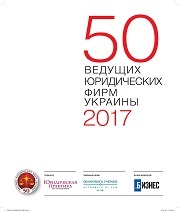 "When a foreign jurisdiction delivers a judgment, then, as a rule, nobody risks not to enforce it"
"The disposal of mortgage property at an understated price is quite common and does not enable liabilities to creditors to be met in full"
"Ukraine took the step of improving quality and enhancing the credibility of the judicial system through the introduction of legal examinations"
"To create a legal state, it is necessary to create incentives for strengthening the bar as an institution"
"The shift in focus from qualitative investigation to the number of proceedings opened and high-profile processes was the main trend of 2017"
"In high-profile cases the task of the defense is to forget about resonance, to focus on the details and to do its work"
At the procedural stage of judicial reform, the main legislative efforts were aimed at the comprehensive improvement of economic, administrative and civil proceedings, embodied in the adoption of the relevant law by the Ukrainian Parliament on 3 October of last year. But almost the greatest resonance in the information space was caused by the innovations, which were proposed for introduction into the Criminal Procedure Code of Ukraine (CPC) by member of parliament Andrii Lozovoi, — with regard to the terms of pre-trial investigation. Fraud is an increasing concern of the business environment. Reputable companies with leading positions on the market are experiencing attacks on their business and incurring losses. In these circumstances, the competitiveness and the investment prospects of certain branches of the national economy and the state as a whole, deteriorate. Recently, the international companies, running businesses in Ukraine, have also have fallen under the spotlight due to fraud. "Both a debtor and creditors are increasingly aware of the feasibility to resolve a situation peacefully and are inclined towards business decisions"
"The point of evidence base formation in tax disputes is shifted to consideration of the case on fact"
"Actually, even the minimal BEPS plan, which Ukraine joined, had a significant impact on the approaches to international tax structuring"
Disputes on transfer pricing will become even more difficult, and requirements for preparation of documents will get stringent. "One can have a dispute with the tax agency and it is even necessary, since there might be no other mechanism to improve a situation globally and to protect a business in particular." The year 2017 did not mark a turning point for the intellectual property sphere. IP reform is on the back burner, and though the commencement of the Ukraine’s Association Agreement with the EU promoted IP protection, it also revealed new problems of law- enforcement. The absolute good news is the establishment of the IP court. The first steps towards "intellectual justice" have been made. 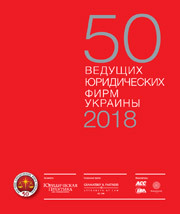 "Implementation of judicial reform and establishment of the Supreme Intellectual Property Court will catalyze positive irreversible processes in our state leading to the triumph of the supremacy of law"
The Anti-Monopoly Committee of Ukraine is proceeding with the review of its approaches to law-enforcement, taking into account the latest world trends, with priority given to quality rather than the number of cases. The year 2018 will, in many respects, be indicative of the subsequent transformation of the Committee. The bar has already been raised high. "Hefty fines are almost always appealed in courts, and the results are not always in favor of the Anti-Monopoly Committee of Ukraine"
"Here everyone knows each other, it's appropriate to say that they turn to a lawyer like to a family doctor, regarding all issues"